The Cavaliers have spoken with a pair of veteran forwards. 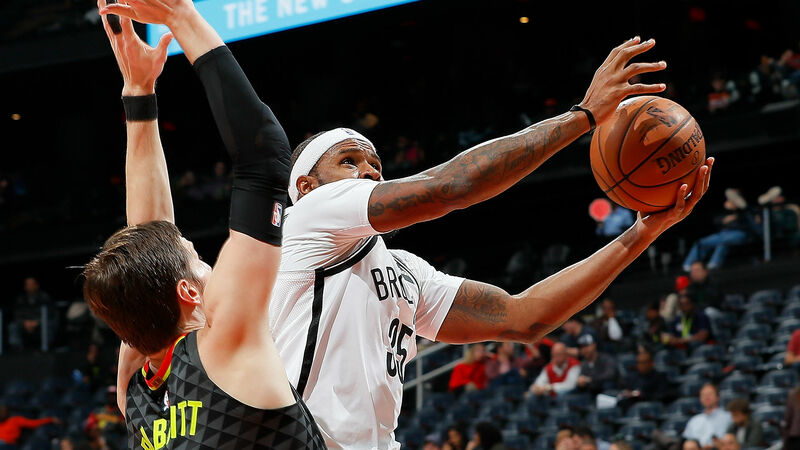 Cleveland is interested in Luke Babbitt and Trevor Booker, according to a report from Cleveland.com. The Cavaliers have the full mid-level exception and the bi-annual exception available to offer free agents because of LeBron James’ departure, the report says. Babbitt, who split time in 2017-18 with the Heat and Hawks, has averaged 4.8 points and 2.2 rebounds during his eight seasons in the NBA. He has knocked down 40.2 percent of his career 3-point attempts. Booker averaged 6.3 points and 4.7 rebounds in 68 games with the Nets, 76ers and Pacers last season. He has also played with the Wizards and Jazz over his eight-year career. James, who led the Cavaliers to four straight Finals appearances from 2015-18, announced he was signing a four-year, $154 million contract with the Lakers when free agency began July 1. Cleveland has been exploring dealing guard Kyle Korver, according to multiple reports, and it could reportedly be open to moving forward Kevin Love.